Though the topic of cross-platform play has been a hot one for years now, it seems that Fortnite really upped the ante when it comes to studio consideration. The heat was so high, even Sony retracted their initial "no cross-play" stance for the Battle Royale game - though apparently not enough to warrant Paladins accessibility. As the online game goes cross-play compatible for Xbox One, PC, and Nintendo Switch, PS4 players are once again left in the dust. But it's not just cross-platform play that the latest update brings. 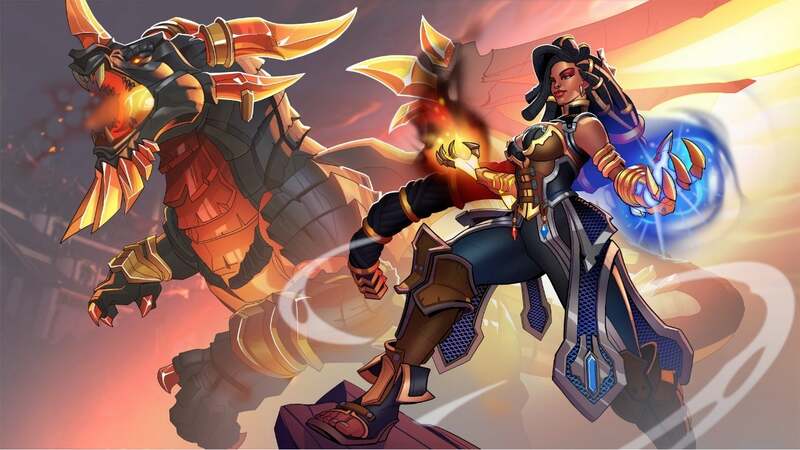 "We’re also happy to announce the start of Season 2, featuring a reworked Ranked system, a major overhaul to Talents and Loadouts, and plethora of new Champion balance," said the studio in a recent site update. "Enter a fresh new Realm and experience Paladins like never before!" "Long ago, there was chaos and war. Dragons ruled the Realm, and mankind was left to fight over the scraps that remained. But one wise mage studied the ancient beasts’ secrets. She established the Warders and commanded the power of a dragon for the good of the people. "It was that Warder’s actions which paved the way for the Paladins’ golden age of peace. The Warders were thought to be dead and gone, a relic of a bygone age. But a beacon was lit in their ancient homeland, a call that the Warders were needed once again… If there were any left." She's unique and she's as ferocious as she looks in her official art seen above. The team added, "Imani answered that call. Little is known about the Last Warder’s past before she appeared in Dredge’s treasure trove to recover her relics, but one thing is sure: She will uphold the legacy of her lineage and stand against the darkness." The latest update is a big one! To see what else is new, check out the full blog post right here! As for the game itself, Paladins is now available on Xbox One, PlayStation 4, Nintendo Switch, and PC.